Jews are mentioned from very early in the Principality, but they did not represent a significant number. Their main activity in Moldavia was commerce and, several times when Jewish merchants created monopolies, Moldavian rulers sent them back to Galicia and Podolia. 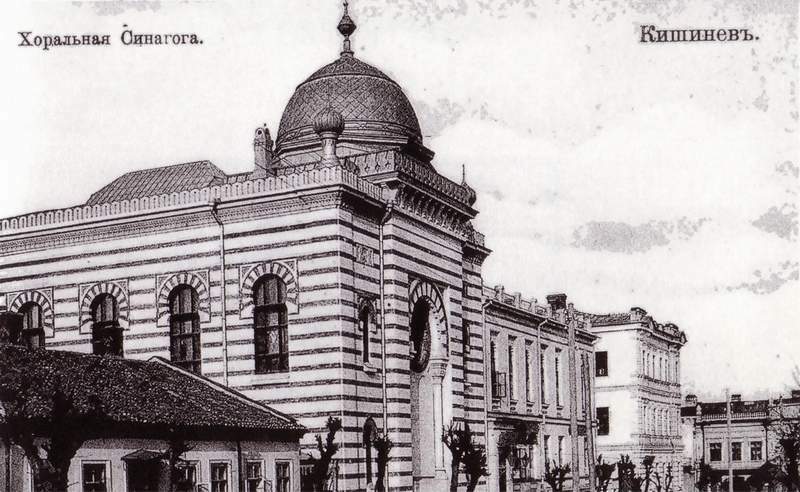 In the late 19th century, especially due to growing anti-Semitic sentiment in the Russian Empire and better economic conditions, many Jews chose to settle in Kishinev. By 1897, more than 50,000 Jews (46.3% of the town's population and 22% of all Jews living in Bessarabia) lived in Kishinev and owned 29 of Kishinev’s 38 factories, 6 of the 7 steam flourmills, 5 of the 7 plants for curing tobacco, and 4 of the 5 printing presses. In 1903 and 1905 two pogroms took place. The first one left 49 jews dead and almost 600 wounded, 92 of them severly. The second one left 19 jews dead. My great-grandmother, Golde Dubin, who emigrated to Argentina in 1905, used to tell my father how she saw the city on fire while she was leaving on the train. In WWII, many of Kishinev’s 70,000 Jews became victims of the German intensive aerial bombardment of the city. Thousands escaped to be murdered by the Romanians. Other where killed by the Romanians when they invaded the city on 16 July 1941 and staged a pogrom that continued for several days. Many more were sent to concentration camps where only few survived. In 2003 there were more than 15,000 Jews (2% of the population) and among various institutions operating, there were three day schools, a museum, a library, and a burial society and several Jewish newspapers.